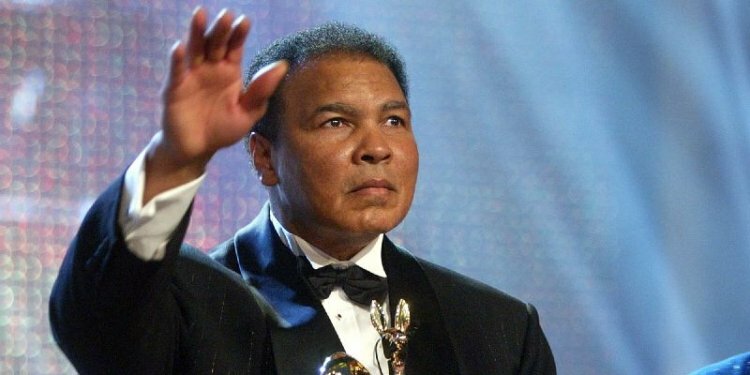 The boxing champion began showing signs of Parkinson’s disease shortly after retiring from boxing in 1981, and he was diagnosed with the disease in 1984 at the age of 42. Though his doctors are not entirely sure, his Parkinson’s disease may be the result of repeated blows to the head during boxing matches. Most famous for his role as Marty McFly in the Back to the Future movies, he was diagnosed with young-onset Parkinson’s disease in 1991 at the age of 30. He went public with his diagnosis in 1998 and committed himself to working for Parkinson’s research. He eventually established the Michael J. Fox Foundation, which raises money for research. In 1997, the country singer/songwriter announced he was battling Parkinson’s disease. Despite his illness, he enjoyed a late-career resurgence before his death in 2003. The founder, producer, and leader of the R&B band Earth, Wind, and Fire announced he has Parkinson’s disease in 2000, after being diagnosed eight years before. He has since worked to raise awareness about the disease and to help fund research for better treatments and a cure. While campaigning for the Democratic Presidential nomination in 1972, the former governor of Alabama was shot and paralyzed. In his later years, he faced many struggles as a result of this injury, made no easier by a Parkinson’s disease diagnosis in the early 1990s. In 2000, the actress best known for her role as Sophia on The Golden Girls announced she had been suffering from Parkinson’s disease for several years. She eventually passed away in 2008 from natural causes. The evangelist pastor announced in 1992 that he has Parkinson’s disease. Today, at age 93, he continues to act as pastor to the President in a role he has fulfilled for many years, despite the illness. Likely best known for the endearing characters in his Peanuts comic strip, Schulz was diagnosed with Parkinson’s disease in his later years. In 1999, several years after being diagnosed, he retired the strip. In 1995, while serving as the Attorney General of the United States under President Bill Clinton, Reno announced that she had been diagnosed with Parkinson’s disease. She stayed in office until 2011. Since leaving office, she has become an advocate for Parkinson’s disease research. Billy Connolly is a Scottish comedian and actor. In 2013, he announced that he was receiving treatment for the initial symptoms of Parkinson’s disease. He was undergoing treatment for prostate cancer at the same time. Connolly acted in films such asIndecent Proposal, The Boondock Saints, Lemony Snicket’s A Series of Unfortunate Events, and the animated film Brave. He was 70 years old at the time of his diagnosis. His spokesman indicated that the actor would continue to work, uninhibited by his diagnosis. Eleven-time Grammy Award-winning singer Linda Ronstadt revealed to AARP in 2013 that Parkinson’s disease had silenced her. Though she was still able to speak, the disease left the then 67-year-old singer of “You’re No Good” and “Don’t Know Much” without a singing voice. Ronstadt said she initially believed her symptoms were due to an insect bite and shoulder surgery. Golden Globe Award-winner Bob Hoskins was forced to retire from acting after his Parkinson’s diagnosis in 2012. Hoskins appeared in numerous movies throughout his 40-year acting career, including The Long Friday, Mona Lisa, Who Framed Roger Rabbit,Hook, and Mermaids. His agent indicated in a statement that Hoskins had continued working almost a year after his diagnosis. Parkinson’s disease is one of the most common nervous system disorders. A diagnosis is most common after age 50, and while it affects both genders, it’s more common in men. Parkinson’s disease is one of progression—it may begin very quietly with a small hand tremor—but it will eventually affect almost every part of the body. There is no cure for Parkinson’s disease, although research is making advances every day. The cause of Parkinson’s disease is still a mystery, which means doctors can’t accurately predict who will develop it and who won’t. These prominent actors, musicians, politicians, and other well-known figures have all faced a Parkinson’s disease diagnosis. Brian Grant announced his early-onset Parkinson’s diagnosis at the age of 37, only three years after retiring from NBA basketball. The former power forward played for five teams during his 12 years in the league. At six feet, nine inches, Grant matched up against physical players like Shaquille O’Neal and Dennis Rodman. Grant is well known for his charity work. He established The Brian Grant Foundation after his diagnosis to raise awareness and education around Parkinson’s disease. Pope John Paul II, the second-longest serving pope in history, was dedicated to health and fitness. He even insisted that a swimming pool be built in the Vatican. His predecessor, Pope John Paul I, died of a heart attack only 33 days after becoming pope. However, Pope John Paul II survived two assassination attempts and various health scares. The Vatican confirmed in 2003 that Pope John Paul II suffered from Parkinson’s disease. His reign lasted over 26 years before coming to an end in 2005, when he died of sepsis at the age of 84.